« College Art Association annual conference presentation, tomorrow! 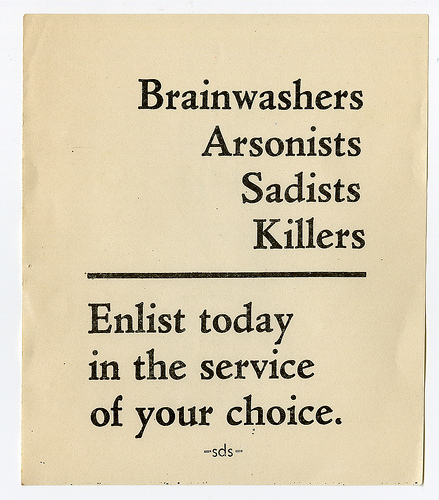 Here is an anti-Vietnam War sticker that Fred sent. And this sticker with a quote by Bertolt Brecht seems fitting for the Occupy movement forty years later, doesn’t it? 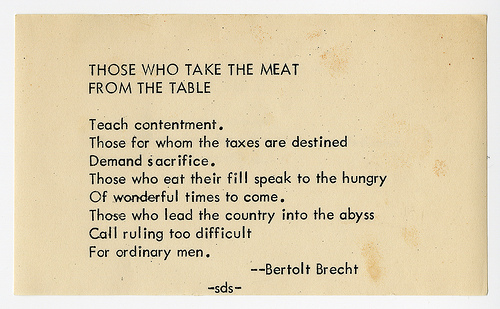 Yes, the Bertolt Brecht quote seems to always be pertinent, unfortunately.